YES! This is very useful and one of the main reasons I signed up to SVS. Great job, Will. Thank you. I have been a decorative painter for fifteen years working with acrylics and after watching this video I can sincerely say that I have learned techniques that I never imagined. Great instructional video!!!! I found this video extremely helpful! I am an artist but new to acrylics and so it was really helpful to see how Will paints and he is an incredible teacher - very specific and includes hints that others might miss.......a big help!! Getting to sit down and watch Will Terry work was a fantastic experience. Not only is his teaching style clear and to the point - as shown by the fact that he presents the whole thing in some sixty-odd minutes - but he's making sure to focus on what parts of the process are important and where and how you might stumble. I will probably replay the course again as inspiration as I'm painting. If there's one thing I do miss, it's some exercises for the students to do in their own time! There's the sketch if you want to try recreating the painting in question, but I just know Terry would give out some terrific homework. Maybe something to consider in the future! Still, as it is, five out of five. A well-spent time for sure! I thought it was well organized and gave a good basic overview of how to use the acrylic technique. I also thought the discussion on materials, set up, and what to do when you make mistakes was very beneficial for a novice acrylic painter. I think a little more discussion on brushes, especially what quality you should be using, would be helpful since the technique abuses the brushes so much . Instructor Will Terry explains his process in a very clear and engaging manner. I like that he puts a priority on the result over handling one's brushes with kid gloves. I liked knowing how long the final painting took. I think this kind of info is especially good for young, aspiring artists who can feel like a final result is impossible for them, because they don't realize what went into it and because they may tend to rush through a piece in one or two sittings. I would be very interested to see the same painting created digitally, and to hear Mr. Terry explain the time savings and differences vs. traditional, along with how he chooses to work in one or the other. If you are interested in painting in acrylics, this is a course you should definitely check out! Thank you for this course. I've been tackling acrylics and running into a lot of trouble with them. This course helped me to approach them using a dry brush and I have always prefered this look in paintings and drawings. Thanks for showing your process in this, its very helpful. Always struggled keeping my paint wet, now I have found a really good way! The painting looks really appealing and I'll try and practice this for sure! 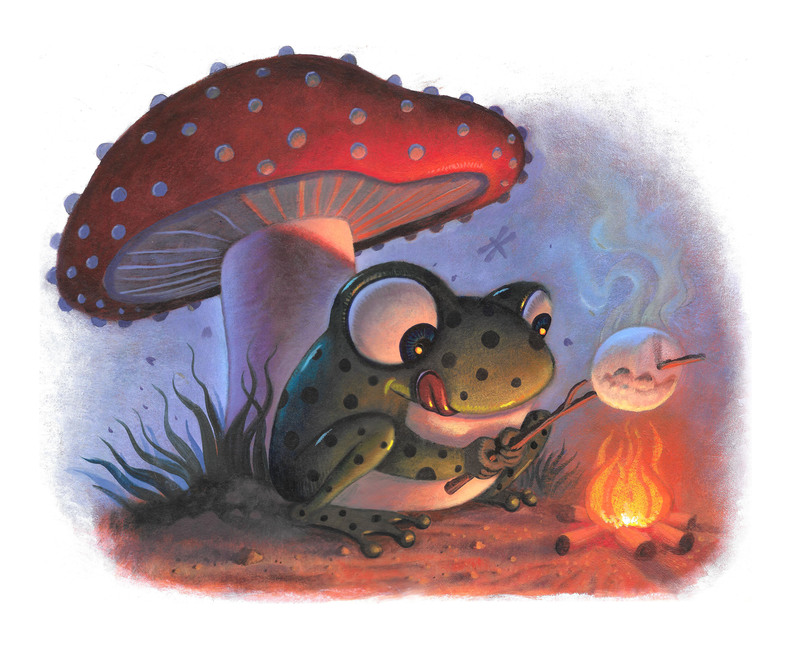 Have you ever wanted to learn how to use acrylic paints to create beautiful illustrations? Many people have struggled using acrylics because they "do NOT behave like oils" or "they dry too fast.” In this video, Will Terry will show you step by step how to use the fast drying attributes of acrylics to your benefit. Dry brushing is one of the many techniques that artists have used to smoothly transition from warm colors to cool colors - dark to light. This video breaks down the materials you will need, the preparation of the surface, and the painting technique you can follow to achieve soft blending of your colors and values. Will Terry has been teaching how to paint in acrylics for many years at UVU and BYU and brings his experience to svslearn.com. He began his career working exclusively in acrylics beginning in 1992 until he transitioned to digital in 2011. Working traditionally is sometimes easier to create "happy accidents" and will always generate an original. Art directors are always looking to a fresh style and working in a new medium can sometimes unlock new ideas waiting to be discovered.